Shannon was born and raised in West Tennessee and moved to Knoxville in 1990 to attend the University of Tennessee and continued her education in nursing at Ft. Sanders School of Nursing, where she received her degree in Nursing in 1996. 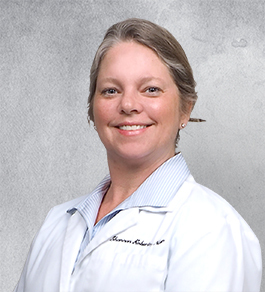 After graduation, Shannon worked as a Registered Nurse in Medical/Surgical and Emergency departments in Atlanta and Nashville before receiving her BSN in 1998 and Masters Degree as a Family Nurse Practitioner in 1999 from Belmont University in Nashville. Shannon joined Internal Medicine Associates in April 2017.